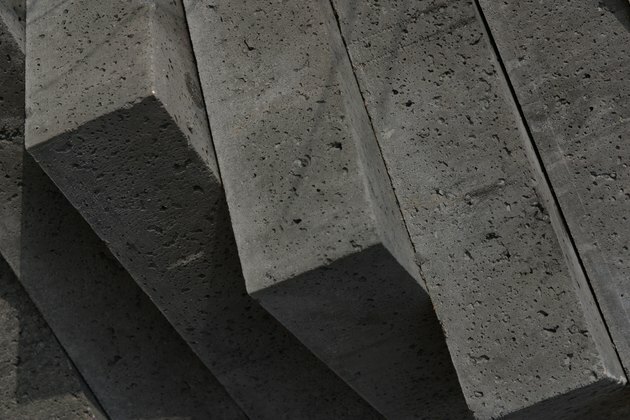 Concrete is one of the oldest man-made building components in existence, and to this day it is one of the most common materials used in construction around the world. The ratio of sand to cement along with water depends on the type of concrete blocks you are installing. Vertical walls require a different consistency than horizontal surfaces, and you can vary the mixture as necessary for other block projects. Concrete block mortar is a time-tested mixture. The basic mixture for most concrete block projects is a 4-to-1 or 5-to-1 mixture. In essence, four parts (or five) of sand are added to one part of cement, and then water is added to that until you achieve the texture you want for your particular block project. For laying concrete blocks, you generally want a thick, creamy mixture that will stick but also provide an adequate base for the blocks' weight. Always add water sparingly to your mortar mix as you are mixing it up, because too much will make it difficult for the sand particles to bond with the binding agent in the concrete, which is cement. While you can adjust the water to some degree to change between thinset mortar such as is used with tile installations or block mortar, which is much thicker, you cannot make it too runny or the concrete's strength disappears. 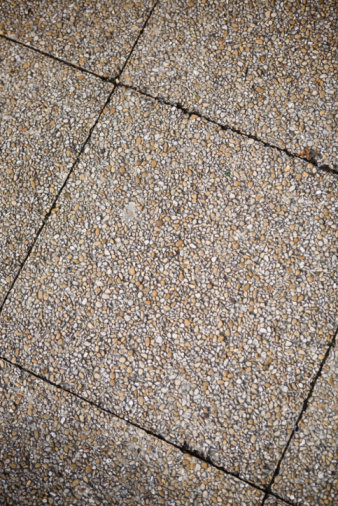 If too much cement is added and not enough sand, the concrete will shrink more rapidly than it normally would during the curing process when it is drying out. Sand helps flesh out the concrete mortar mixture, so while you can sometimes go as low as three shovels of sand to one shovel of cement, anything beyond that does not provide you with a quality mortar that cures slowly and hardens the best. Sand also helps the mortar to withstand the bricks' weight. This is vital in wall installations, such as with block walls on foundations. The mortar has to contain enough sand or aggregate to hold up to the wall's weight, as pure cement with water cannot hold up. The perfect combination of sand and cement creates a mortar that is both strong as well as thick. What Causes Cinder Blocks to Crumble?